Please note, any Paypal donations MUST have your email attached for future reference if you would like to donate at one of our tiers. These tiers are all listed on Fundly. I’d like to preface this entire thing by stating, this game is not yet ready for a formal announcement. It is not yet nearly complete and a demo has not yet been sorted. 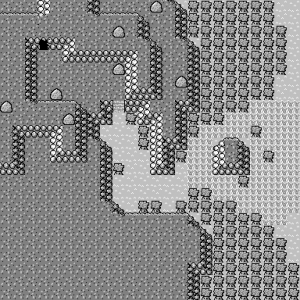 What has been sorted are a handful of sprites, the world map (minus details, interiors, caves and buildings) and a lot of the technical details (move types, types of trainers, egg groups etc). By my own standards, this shouldn’t yet be announced. Yet, this is my only way to support the fundraiser, so I am taking away from that announcement in the hope that it will help Momerator’s fundraiser. What is <FNaFLore’s Unnamed Battling Game>? The game itself is naturally going to use all original music, textures code and the like, which will take a lot of time to sort out. There are a lot of hurdles, but we’re certain that we can make it work. How did <FNaFLore’s Unnamed Battling Game> start? I dreamed up a version of FNaFWorld without the quirks that some people disliked. I loved the older version’s layout graphics-wise, and wanted to make a version that was FNaFWorld, with that initial feeling, but without the quirks it had that drew away from gameplay. 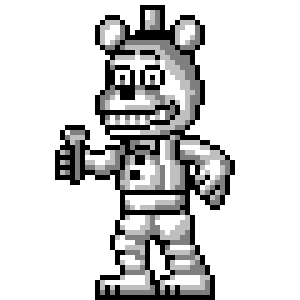 FNaFWorld is actually not at the bottom of my list of FNaF games, and places above 4 and SL for me. I found it cute and interesting, but just handled really badly in graphics and gameplay. At least, for me. I disliked the odd combat system, and the flashing was a big mistake, but overall, I loved the concept. 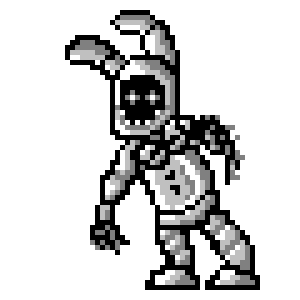 <FNaFLore’s Unnamed Battling Game> was pitched to be “FNaFWorld done right”, which is strictly in my own opinion. It is going to essentially be a Pokemon-esque game using completely original content relating to the FNaF franchise. It will include all FNaF characters, including enemies from all of the games, troll games and even some community nods here and there. Who is working on <FNaFLore’s Unnamed Battling Game>? 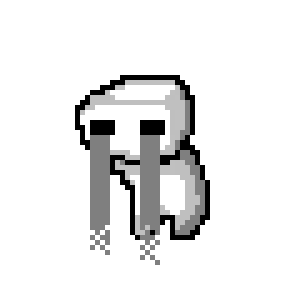 As of this moment, I have 2 pixel artists and 1 musician working on this project. I will almost certainly at some point need to get more pixel artists as everyone’s busy lately, but I am still proud of my progress. How complete is <FNaFLore’s Unnamed Battling Game>? The game has a full map, with all graphics barring details and buildings put in place. Any other places, such as interiors, are not yet completed. For the roster of characters, we have completed 18 characters, and are building an internal demo to test if this is viable. We have 1 song completed, and is awaiting encoding into the .GBS format. The entire list of characters has been sorted, as have their types, egg groups and species descriptors. We have also completed the evolution links and pathways, as well as base town details. I also have a list of popular/project-related figures to act as gym leaders or hard-to-find trainers. You can see why it’s somewhat frustrating to release information now, as the game is still quite young in concept. I’d rather have waited until the bare bones were all in place. But, it is necessary for the fundraiser. I am confident I can complete this project. It is ambitious, but I can see how it can be done on a technical level. What tiers are you offering for <FNaFLore’s Unnamed Battling Game>? I am offering many tiers, so to try and incentivise people to donate more to Momerator’s fundraiser, which you can compare with the chart to the right. Y means that you get the feature to the left. P means you get partial control/use of that feature. N means that feature is not included in that tier. Appear in a “Special Thanks” list embedded within the game. Note: You will not physically appear in the game’s world. Appear prominently in a “Special Thanks” list embedded within the game, as well as being listed in the credits. You will appear in the game as a trainer. You will be one of the random trainers you can fight in a procedurally-generated tourney/battlehouse environment. Note: Your party and appearance will be chosen by the developers. You will appear in the game as a trainer. You may choose to either be placed on a route to be fought by players once, or inside a procedurally-generated tourney/battlehouse environment. You can choose your trainer “type” from a preselected list of in-game types (Swimmer, Youtuber, Technician etc). You can choose/create what “type” of unique trainer you want to be (Mage, Destroyer, Magician etc). You will get a custom sprite made of you to appear in-game. Note: Concerning the “type” of player, the type must not be terribly offensive. We will not be able to accept types that we deem are too offensive, and will request alternate roles to solve this issue. You will appear in the game as a trainer. You can choose your party from a list of all characters, including legendary and special characters. You will get a special secluded space set aside for you in the map. This could be a building, a cave, a forest clearing, an island or anything else you would like, to your request. You will appear in this space as a high-level trainer. Placement of the secluded space will be picked by the developers based on the theme you set for your space. Access to this space would require skills that cannot be performed from initial startup of the game. Alongside an item which will hide the rooms until completion of the main storyline, this could include things such as the ability to move rocks, cut down trees or other abilities that must be earned in-game. You may request specific designs of this room, and include any sort of reference or self-designed rooms using the spritesheets of other games and/or rough pixel-based maps to help us create your personalised space. We will attempt to do all we can to work with you to complete your special space within the game. If you wish to share a secluded space with friends, special arrangements can be included to allow for this to occur, with permission of both parties. please note that any friends will still be bound by their tiers RE their functionality. If they also backed at tier 5, it is possible to expand your secluded space to be larger, including styles of all involved contributors. As this tier will necessitate the leaking of the entire list of <FNaFLore’s Unnamed Battling Game>’s roster, we ask that those who back at this tier do not leak the list to the general public. We will likely be asking for details closer to the completion of the game to minimise this chance. What is the reasoning for the tier pricing? For the $75 mark, I restricted players to the tourney sort of area so that there is less of a chance of overcrowding the map. That’s my attempted compromise for this situation. At $125, I feel that the levels of donators vs the amount of space should work well, hopefully. For the party restrictions, this is clearly over in-game inconsistencies regarding “legendaries” and end-game unlocks. Therefore, unless your character is a hidden end-game unlock, I have to restrict your character’s appearance. I feel for the tiers on display, this is just about right in regard to balancing the complexities of sorting this out game-dev-wise, and value to the donator, all the while incentivising people to contribute more to help Momerator’s fundraiser. Nothing but the hope that my offer will allow more money to be raised for Momerator. I wish to make it clear that I am not taking a single penny of this money. This is being done solely to ensure Momerator gets as much funding as possible to give her the best chance to beat cancer and recover from her financial issues. If that means more work on the game and a kneecapped launch for the game, then so be it. I want her to be safe. When will we hear from this project in the future? We do not know when we will make the official announcement, and content in the game is likely to change wildly. We will be sending out emails of confirmation to all those who donate, and will get in touch with all donors as and when we get to the appropriate stages where we require their information. I wish to talk to you about this project, or about one of the project’s tiers. How do I do this? To get in touch with me about the status of the project, wishing to contribute your skills to speed up this project or otherwise asking any other question concerning FNaFLore, it’s part in this fundraiser or it’s variety of projects, please feel free to contact us via our Contact Page! I’d like to once again thank you for your interest in this project, and for considering donating to Momerator’s Fundraiser. To return to the fundraising hub, or to access the fundraising site itself, please click on one of the two buttons below.